Thanks to everyone who baked and entered! We couldn't do it without you! 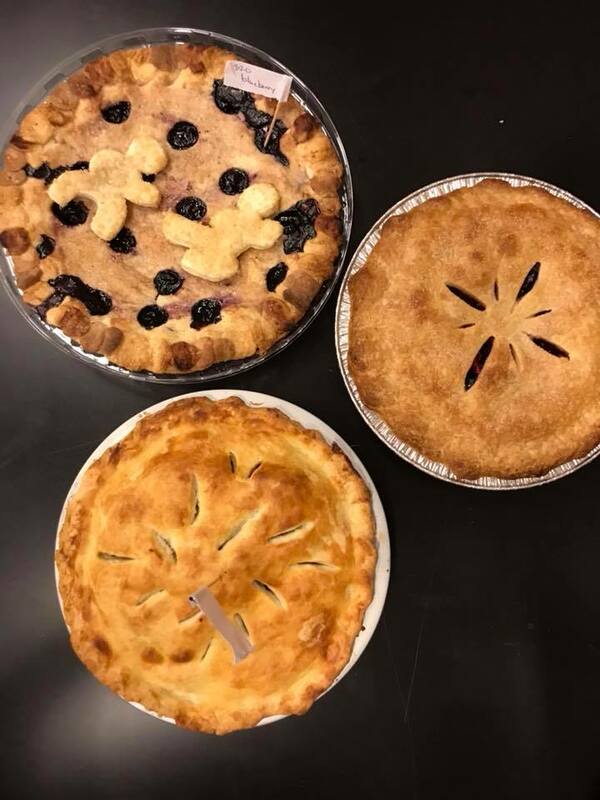 Starting at the bottom: Grand prize Deep Dish Apple, 1st Place Fruits of the Forest, 2nd Place Ninja in the Sky Blueberry Pie. 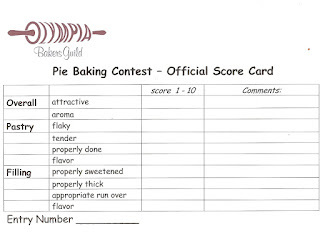 This is the scoring card the judges will use when sampling your pies the Pie Fest 2018 Pie Baking Contest. How can 2 pies feed a family of 4 for 2 weeks? When you enter them into the Pie Fest 2018 Pie Baking Contest that's how. One $5 entry fee plus 16 slices @ $3 per slice equals $53 from 2 pies. The Thurston County Food Bank tells us they can leverage that money to provide food for a family of four for two weeks. Also, we are more than happy to take donations of single pies for serving if you feel like baking but don't want to enter the contest. Pie Fest wouldn't be much without our contestants. Contestants must bring two of the same pie for each entry. 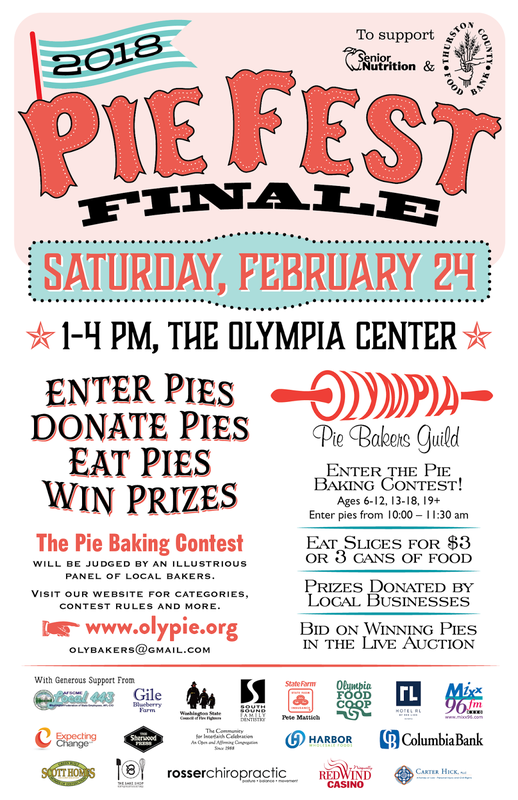 One pie will be cut for judging with the remaining pieces sold; and the other will be cut or sold whole. All sales benefit the Thurston County Food Bank and Senior Nutrition Program. Please bring pies in disposable 8-, 9-, or 10-inch pie pans – pie plates will not be returned. 10 am and 11:30 on Saturday February 24th. Judging begins at 11:45 am. Entry fee (per entry) is $5 or 5 cans of quality food product. Pie crusts and fillings must be made from scratch. 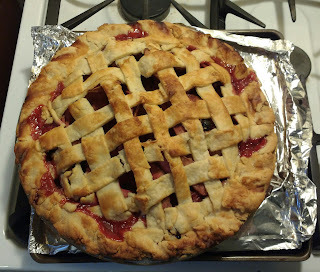 Please don’t submit a pie made with store bought crusts, dough or canned fillings. Pies that require refrigeration will not be accepted. (For example, but not limited to, cream fillings, meringues, custards, home canned fillings and pumpkin.) No cream cheese or dairy toppings such as ice cream or cream may be added to the pie. We do accept nut pies (those that do not require refrigeration). You may enter as many times as you want. 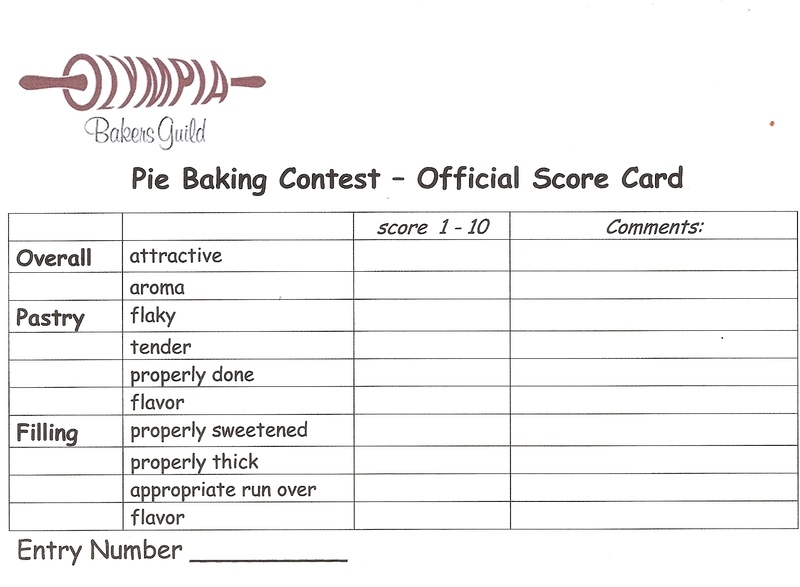 This contest is for amateur and novice bakers only. 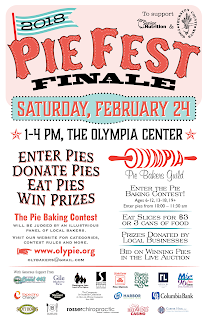 In other words, if you make your living by baking pies, we hope you will consider donating pie and joining us to eat pie and buy raffle tickets to support the fundraiser. Pies are scored on appearance, crust and overall taste/flavor.